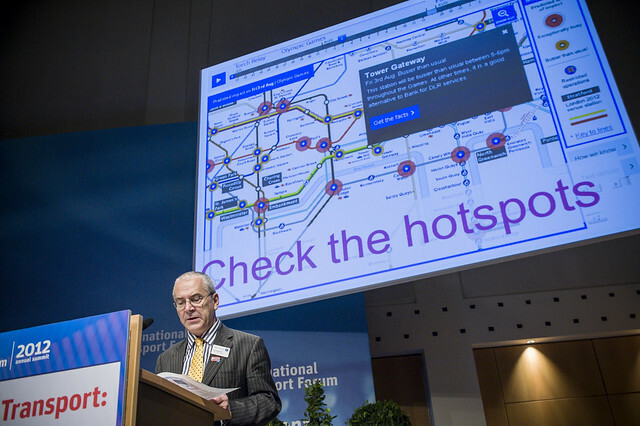 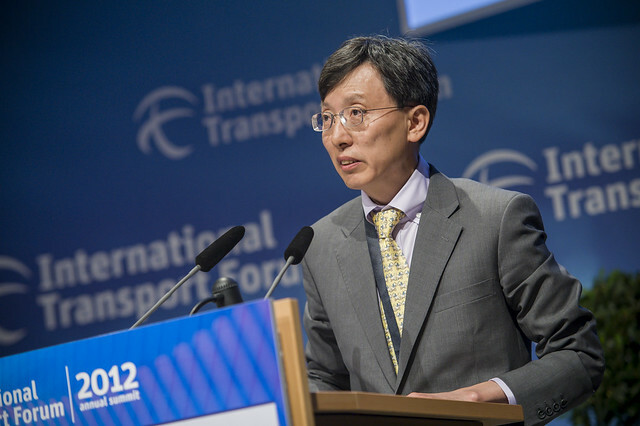 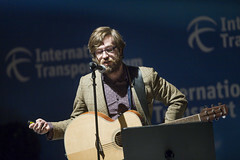 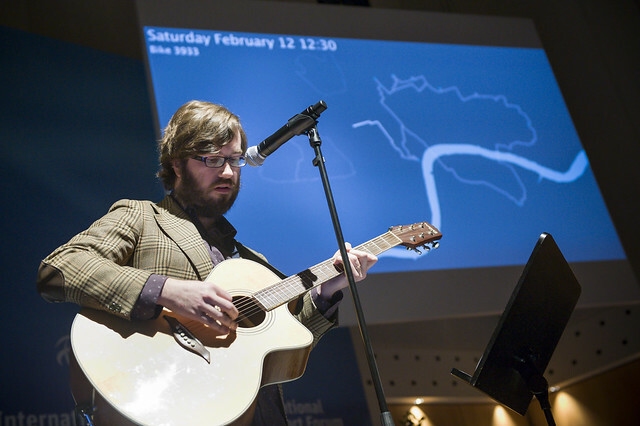 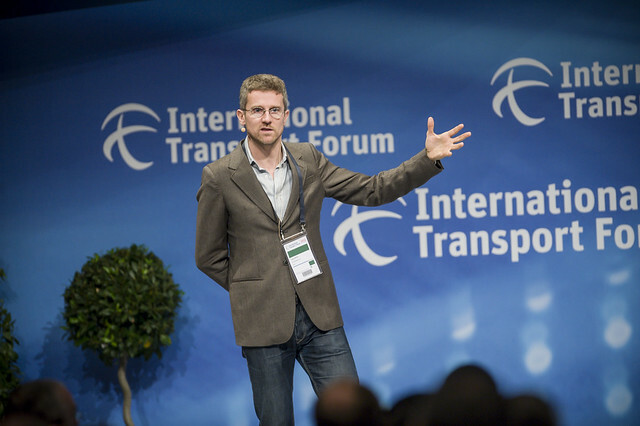 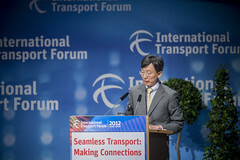 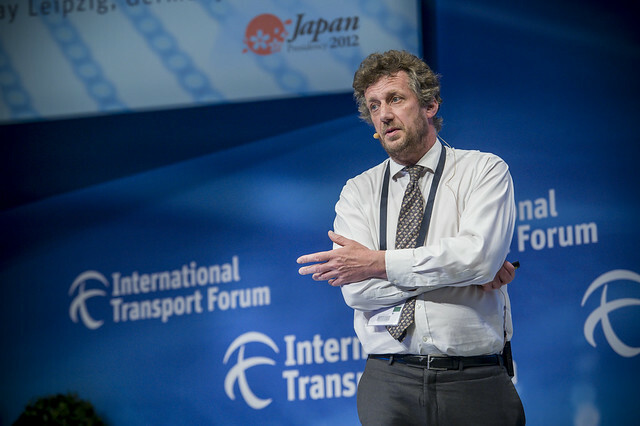 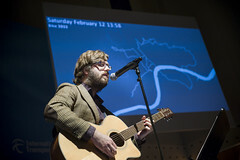 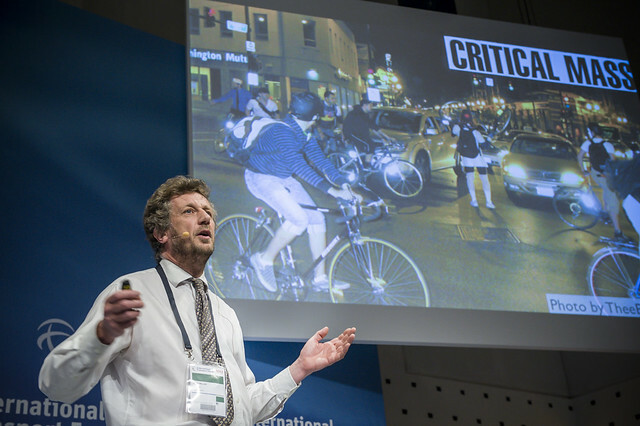 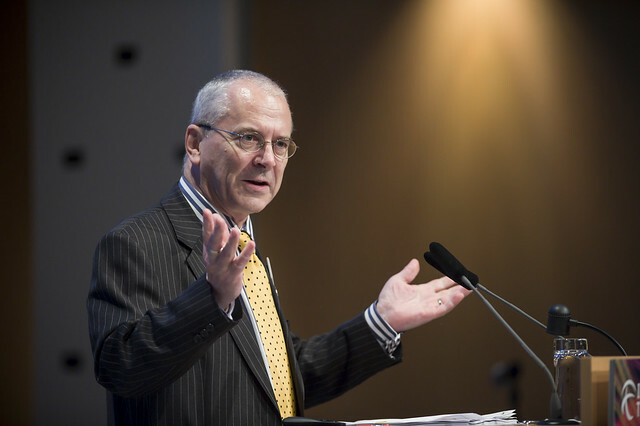 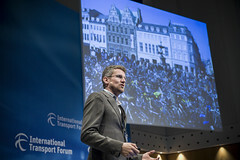 Transport Innovation Talks are designed to provide new perspectives on transport and the Summit theme. 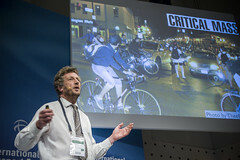 Talks are based on clear and compelling storylines, are designed to inspire and are presented in a convivial atmosphere. Carlo Ratti delivers his vision of "the Urban future: wired"
Carlo Ratti speaking on "Urban-future wired"
Peter Miller enthusiastic about "new mapping tools"
Peter Miller talks about "new mapping tools"
Jaehak Oh talks about "real-time public transport information"